This 22 year old patient from Eerie, Pennsylvania contacted Dr. Medalie of Cleveland Palstic Surgery for labiaplasty. She had visited Dr. Medalie's websites, ClevelandPlasticSurgery.com and LabiaplastySurgery.net and also read reviews of him on Realself.com and felt that he would be able to perform the kind of labia reduction that she desired. Her goal was to have a wedge resection with preservation of the natural labia contour, and in their consultation, Dr. Medalie assured her that this was possible. She also desired clitoral hood reduction. 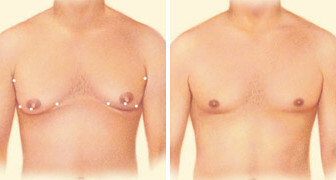 The labiaplasty and clitoral hood reduction were performed at his Cleveland west side clinic under local anesthesia with mild oral sedation. 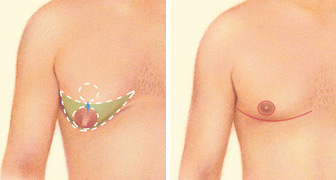 The before and after photos also show one picture of the surgery during the procedure to demonstrate the location of the labiaplasty incisions. The last picture shows the patient 3 months after the labia reduction surgery with a pleasing contour and dramatic reduction in labia and clitoral hood size and contour.